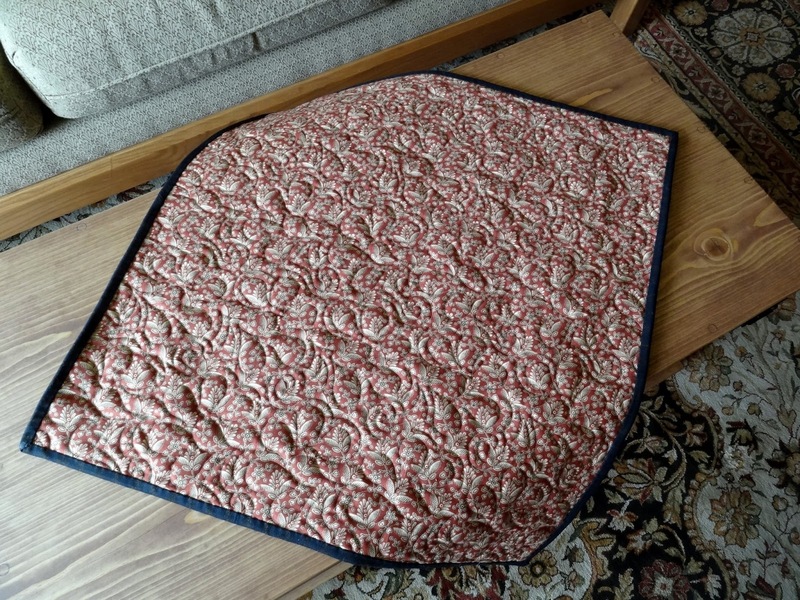 Squash House Quilts: Churn Dash Finish! Just a quick post to show you my finished Churn Dash quit! I recently feel like I finally mastered feathers on the longarm but for the life of me I couldn't figure out how to use them in this little quilt! So I used one of my favorite pantographs. The new blanket trunk is turning out to be a wonderful place to display these small quilts! The back looks pretty good, too! I used Dream Wool batting - I just love how it makes the quilting pop! Very nice, and I love the quilting. I keep saying I'm going to try something besides meandering. So SOOOOOO beautiful, Candace!!!!!!!! Love everything. Where it it is, quilting...design. Love. Super pretty. You're becoming a quilt master! I love everything about your little quilt Candace. The blanket chest is perfect for display. If you like the Dream Wool now, just wait until after you wash and dry it. It comes out of the dryer as soft as butter. So hurry up and spill something on it so you have an excuse to wash it. You won't regret it! Oh! I almost forgot to mention how darling your baby churn dash quilt is! It just so happens to be my favorite block! Your quilting is divine as well. Such a cute little quilt and I love the quilting too! Aren't you glad you bought that quilt-display-table! Great little quilt! I love the fabrics! 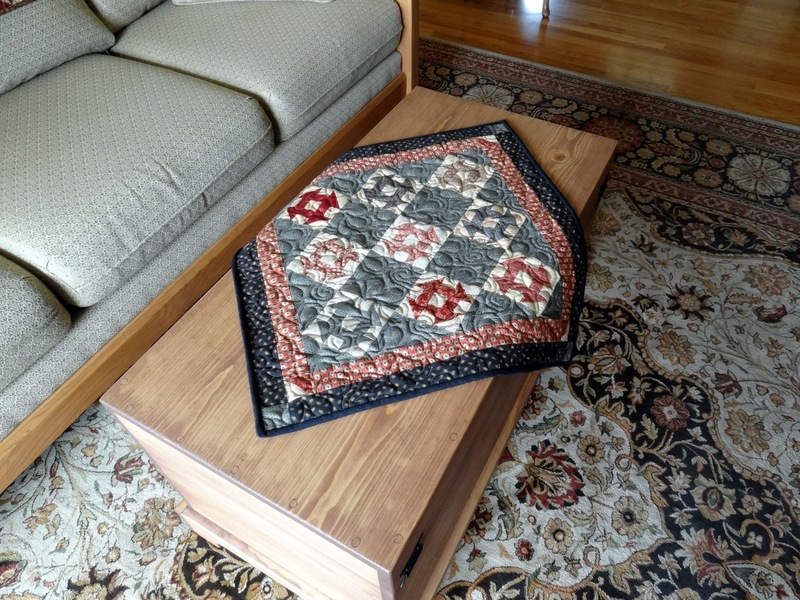 Your adorable Churn dash quilt just looks perfect on your new blanket chest ! Your quilting is beautiful. And I just love the fabrics you used. Hugs!! 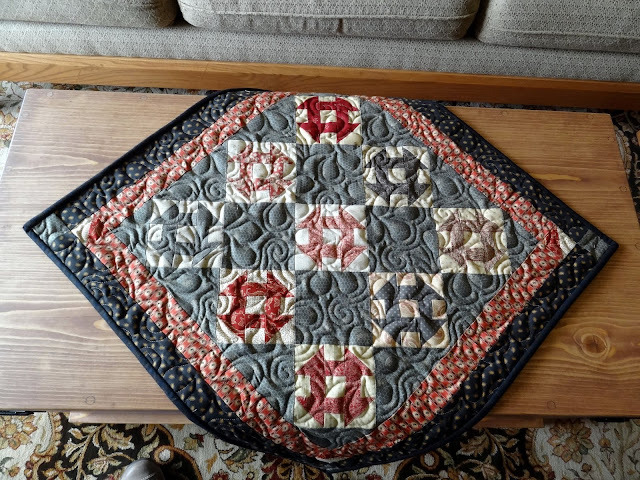 Your Churndash quilt is adorable! Beautiful quilting and soothing colors! I recently got some quilters dream batting. I am eager to try it soon. I love the simplicity of the churn dash block all fancied up with the beautiful quilting. It just shows how the right batting & quilting can take a simple piece to new heights. This is one of my favorites you have made so far & you had the perfect place to show tis little one off too. You must be really pleased with this topper. Love your quilt...looks lovely on the blanket chest! Your quilting gives the Churn Dash a bit of sophistication. Well done! It looks wonderful on your blanket chest and I love the quilting. You are a master longarm quilter already! Oh, yeah, I like that a lot. great job! So pretty Candace. Looks like you are doing fabulously with the long arm quilter. Oh! It looks wonderful! Do you like the wool? I've been meaning to try it, but I'm afraid to.